HP2000 Auxiliary Power Unit (APU) for Semi Trucks| Parks Ind. The cabinet of the HP2000 measures just 20.5″W X 21.5″H x 24.5″D overall. The HP2000 series also have the lowest published db rating of any diesel APU on the market. The HP2000 APU uses just approximately 0.10 GPH while most other use twice that amount or more. 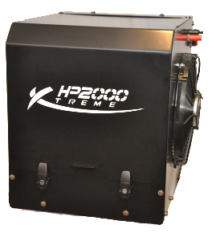 The HP2000 provides a whopping 20,000 BTU of heat and 20,000 BTU of A/C from the compressor. The proof is in the numbers! Check out our Comparison Chart to see how the HP2000 stacks up against our competitors! The HP2000-3 Xtreme weighs in at just 310lbs! The next lightest major competitor weighs 415lbs. The HP2000 Xtreme is our new 2 cylinder truck APU. It has the same foot print as our older models, but sports a lighter weight of 310 lbs. This APU is built to handle the extreme temperatures and rough conditions that drivers battle daily. 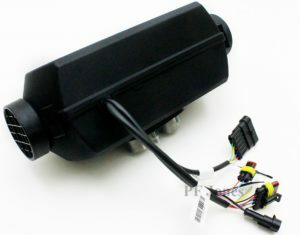 By eliminating the need for the truck’s engine to idle, not only does it eliminate wear and tear on the drive engine while idling, but fuel consumption is reduced by up to 90%. These advantages are attained yet still allow the driver to enjoy all of the comforts of an idling engine. Our product lines are available in durable Stainless Steel. For lightning fast install’s & repair visit our headquarters, or find your closest service center! We at Parks Industries pride ourselves in offering our customers the lightest weight, highest BTU output, most fuel efficient truck APU available. Weighing in at only 310 lbs totally installed, the HP2000 series provides over 20,000 BTUs of heating and cooling from the compressor all while consuming just 1/10 of a gallon of fuel per hour under a full load. 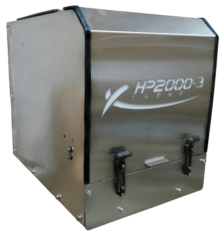 Proudly made in Marion,IL, the HP2000 series is built to last with it’s Stainless Steel cabinet. 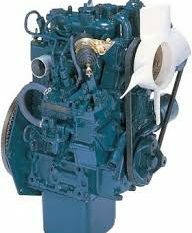 We offer a 2 cyl tier 4 final, Kubota engine in the HP2000 series. Our Kubota engines have proven to be a bullet-proof system and will provide you with years of problem-free service. In today’s time, reducing idle hours is becoming more and more important. Whether you are looking to reduce idle hours on a multi-million dollar crane or a class 8 truck, the HP2000 series is the most efficient, most cost effective auxiliary power unit on the market today. Save over $6,000 per year in fuel savings alone. The average driver works 260 days per year idles their truck an average of 10 hours each work day. 2,600 hours at idle time will cost a over $7,000 per year in fuel alone. This does not take into consideration the wear and tear on the engine components (alternator, A/C compressor, water pump, fuel pump, etc). Our system could cut your fuel costs to under $800 per year. The HP2000 keep more of your hard earned money in your pocket and out of the Ozone layer. Apply for financing now and get instant approval. The HP2000 Series APU is the most efficient truck APU on the market today. What makes the HP2000 series so efficient is the use of its patented heat pump technology. It provides more heating AND cooling all while consuming less fuel. 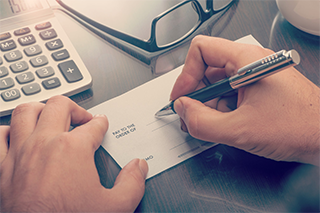 For the average driver, the HP2000 series will pay for itself within the first year or so of operation leaving you with the additional savings year after year. Want more proof? Contact us and we’ll be happy to provide you with a few of these references.